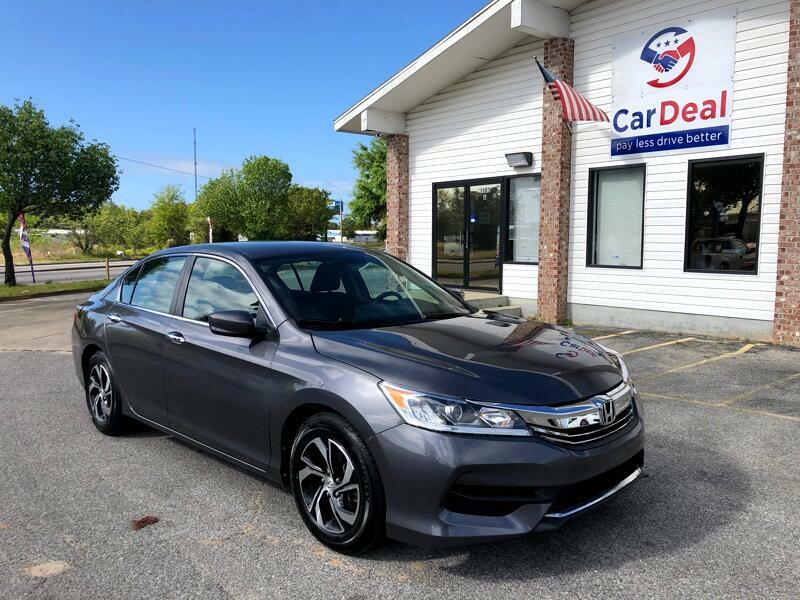 2016 Honda Accord LX comes with 16-inch alloy wheels, automatic headlights, LED taillights, dual-zone automatic climate control, full power accessories, cruise control, a 7.7-inch infotainment display, Bluetooth phone and audio connectivity, a rearview camera, a tilt-and-telescoping steering wheel, a height-adjustable driver seat, a one-piece folding rear seat and a four-speaker sound system with a CD player, an auxiliary audio jack, a USB port and Pandora Internet radio control. We provide free full coverage warranty! Military and student discount! Message: Thought you might be interested in this 2016 Honda Accord.